Gracefully, there is always some unpublished masterpiece by Bev Doolittle. I’ve found a great bunch of awesome optical illusions by Bev. I’ll post more of them from time to time when I find it appropriate. What I like about Bev’s artwork, is that there is always a story behind each of her pictures. For example, today’s image is more than just a fox posing for our artist. If there’s something weird, and it doesn’t look good, who you gonna call? Ghostbusters! While stumbling into winter jacket territory, I think it’s acceptable to offer some forest illusion compilation. An oldie but a goodie here. This one had me stuck for some time. 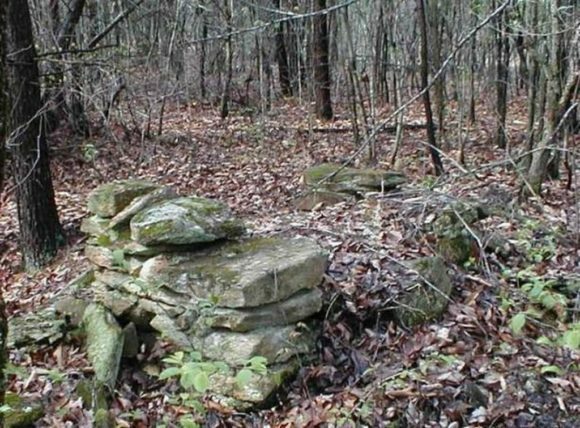 Can you find the hidden face in the forest? Prev Can You Spot The Hidden Tiger? At first I could only see one horse and then once I saw all of the illusion, and smacked my head for not seeing the whole thing faster. and is there a tiger or some creature on the left? superb , I like this . Thank you Vurdlak! Beverly Doolittle has always been my favorite artist. I do believe she could hide an elephant in a field of flowers. You always make my day better….May God Bless! I see at least two Indians on horses. There is one on either side of the fox. COOL! Glad the illusion changed, I was beginning to think that I would go to bed for the third night looking at the same one. One reason why I stay out of the woods. Too many weird things lurking around out there. It’s okay. But I think the picture looks too messy in the first place that you could hide a screaming T-Rex in there – LMAO!!! Great body painting on the horses though. It would be better if we could have a larger picture to analyse. That one is hardly large enough to discern the fox in the first place. I wish you had a bigger version of this. It is such a beautiful piece of art. lol this was pretty good…I love it…earns a five from me though it did hurt my eyes because it was hard spotting the horses and men…. In addition to the 2 natives on horseback, the lead horse’e rump also looks like a native’s head. Look to the immediate right of the fox, about 3 times as big as the fox. The face is pointing to the right and has a white feather partially covering the black hair. Additionally, when the image is enlarged it appears the artist has utilized the dark and light patches on the birch bark to represent subtle images of human faces. Not withstanding an overactive imagination, I have been able to identify at least 6 faces in the birch bark. The most obvious one is about half-way up the second tree from the left. Excellent. spent a couple of days trying to de-focus on it thinking it was magic-eye. Note to self, Read The Intro. . . . . Regarding your post about brainstorming ideas for this site (sorry this is late ^^) I would like to suggest that we change the rating scheme- i mean people are obviously mostly always rating it 3-4-5 which means when you are scouting for the best optical illusion, several will come up as 4’s and 5’s (even the “not so good ones”)- what i suggest may be that you can make the ratings up to 10- which will make it more accurate. :3 Great illusions Vurdlak- keep up the good work!! Would you try to post largest versions that you have of the illusions, perhaps in a link? Some of them are hard to see this small. BTW people, Indians are people from India and the Indies Islands. Seriously… Indians are from India and the indies islands… Ignorant dumbass!! I didn’t even see the fox until I’d read the blurb – and then I had to go searching for it. I see an Indian on horse back, and second on foot behind. If there’s a second horse, I don’t see it. hhmm second night same illusion. Hmmm… I can see the two natives on the horses and the obvious fox but no other faces/bears ect..
Actually, TBH, I saw the native & horse on the right before I even saw the fox…. since when do cows and horses cross breed and produce white horses with black spots? Sorry…I’ve seen this original and it’s awesome! Wondering how you get around copyright to post these? This was hanging in a museum. There is a pig on the left and a horse and rider on the right. Two Native Americans on horses and a fox between. I just aquired the print this site is talking about – does anyone know how much its worth?